Shift Up Engineering is a French based company with htefocus on light material products. We have the Shift Up chainguidesadded to our assortment because of the nice design, their efficience and this product is also suitable for oval chainrings. Shift Up There are 2 products. 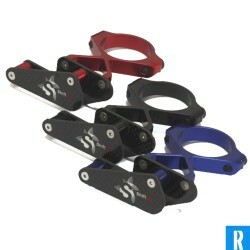 Superlight carbon-aluminium chainguide for singlespeed. 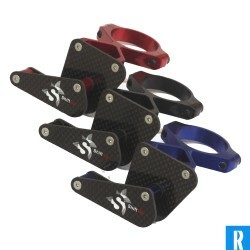 Also for Qrings and other oval chainrings.